Just because you don’t live in the same city as your aging loved one doesn’t mean you can’t be a world-class caregiver. Long-distance caregivers can continue to help and support their loved ones, as long as they plan ahead. Here are a few simple tips and tricks you can use to become an amazing long-distance caregiver. No matter how helpful and active you try to be, you’re going to need local help. If you don’t have any family members living near your loved one, you might want to reach out to close neighbors, community members, or religious leaders. You also have the option of contacting a local senior center that offers services such as rides for the elderly. Make sure you have at least a few different people you can call in the event of an emergency or if you need a favor. For even greater peace of mind, you may also want to think about hiring a professional caregiver for your loved one. When considering home care, Winnipeg, MB, families should make sure their senior loved ones have the resources they need to maintain their independence and remain healthy. Trusted in-home care professionals can assist seniors with daily tasks like cooking, bathing, and exercise, and they can also encourage them to focus on healthier lifestyle habits. Visiting loved ones often feels hectic and rushed, which is why you must have a plan. Even if you spend most of the trip relaxing with your loved one, you need to set aside some time for important matters, which may include trips to the doctor or scheduling an appointment with an attorney who specializes in estate planning. You might also need to carry out a few household projects such as changing out the batteries in the smoke detectors or replacing old air filters. Your loved one may need a bit of help managing some of the chores of daily living. Living independently is important for seniors who want to maintain a high quality of life. For some, this simply means receiving help with tasks that have become more challenging to manage over time. Even when families have the best intentions, they may not have the time to provide the care their elderly loved ones need and deserve. If your loved one needs help for a few hours a day or a few days a week, reach out to Home Care Assistance, a trusted provider of respite care Winnipeg seniors can depend on. How often you need to call your loved one depends on what type of relationship you have and his or her personality. 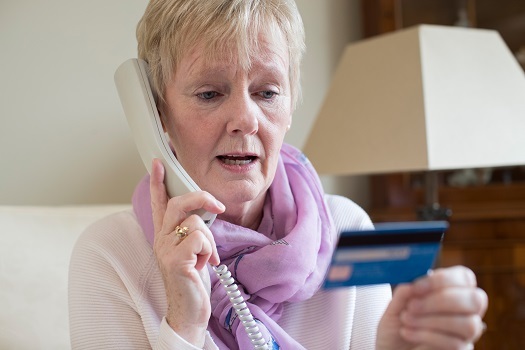 Some older adults enjoy daily calls, while others are perfectly fine with monthly calls. Before each call, you and your loved one should write down important topics to discuss, such as health and finances. You can also encourage other friends and family members to call your loved one a few times a month to socialize. Talking on the phone might end up being time-consuming for you and exhausting for your loved one. In addition to calls, you should also consider texts, emails, traditional letters, and other forms of communication. You want to be absolutely sure your loved one can comfortably ask you questions without feeling as if he or she is bothering you. Teaching your loved one how to send and receive emails could make your caregiving duties much easier. Keeping up with your loved one’s health and finances may be difficult if you can’t directly contact his or her doctors or legal representatives. During your next visit, you might want to speak with your loved one about granting you financial and medical power of attorney. Once those legal documents have been signed, you’ll be able to call his or her doctors and attorneys directly. You can also make decisions on your loved one’s behalf if he or she ever becomes severely injured or incapacitated. It’s also a good idea to ask about your loved one’s preferences for living at home in the event of a serious illness or injury. Some seniors only require help with a few daily tasks so they can maintain their independence. However, those living with serious illnesses may need more extensive assistance. Luckily, there is professional live-in care Winnipeg, MB, seniors can rely on. Home can be a safer and more comfortable place for your loved one to live with the help of an expertly trained and dedicated live-in caregiver. Home Care Assistance can be your trusted partner when your loved one needs help with the challenges of aging. Call us today at (204) 819 0392 to learn about our high-quality in-home care services.